So it’s been a whole like, 5 blog posts since I did something buffalo-flavored so I just have to go ahead and rectify that issue. The problem is that when I cook recipes, I usually cook for two so it’s rare to have too many leftovers for lunch. 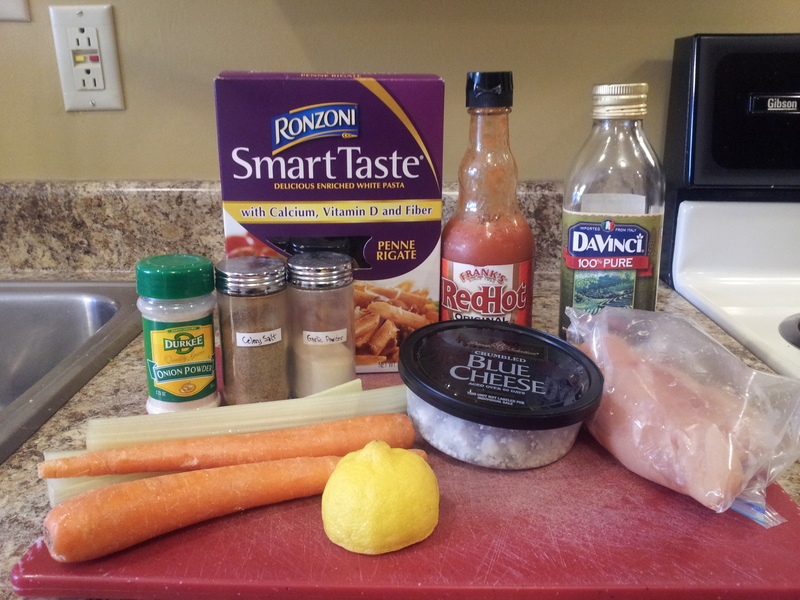 So I decided to just make lunch dishes while making dinner! 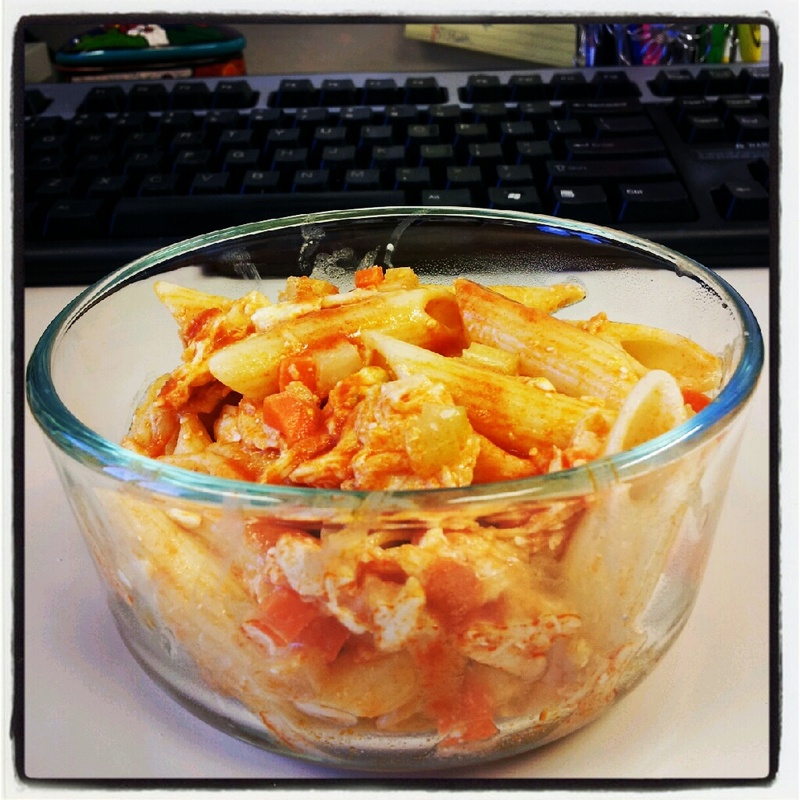 I found that bringing a nice cold pasta salad for work is always refreshing (like the one I showed you last week) – and a homemade dish never makes me think “Yuck” as lunch time approaches! You should definitely give this one a try! 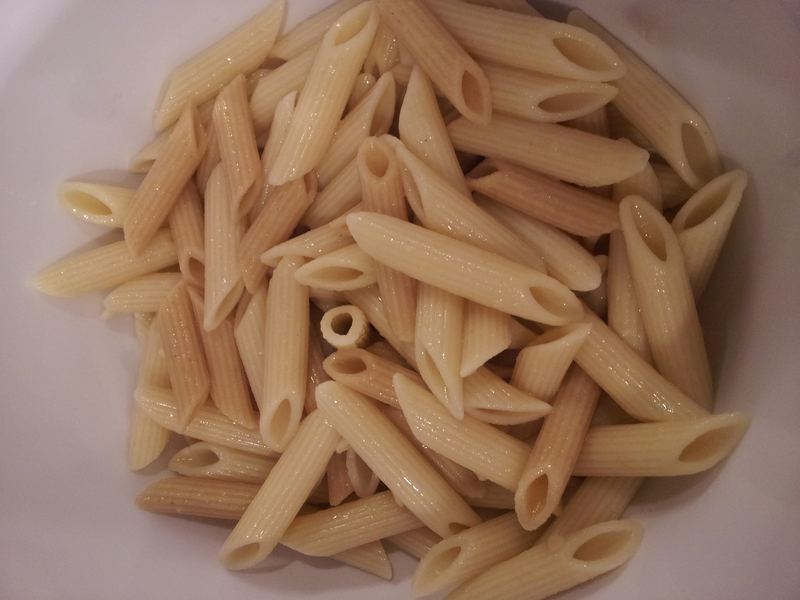 In a medium pot, bring water to a boil and cook pasta according to directions. Drain and set aside. 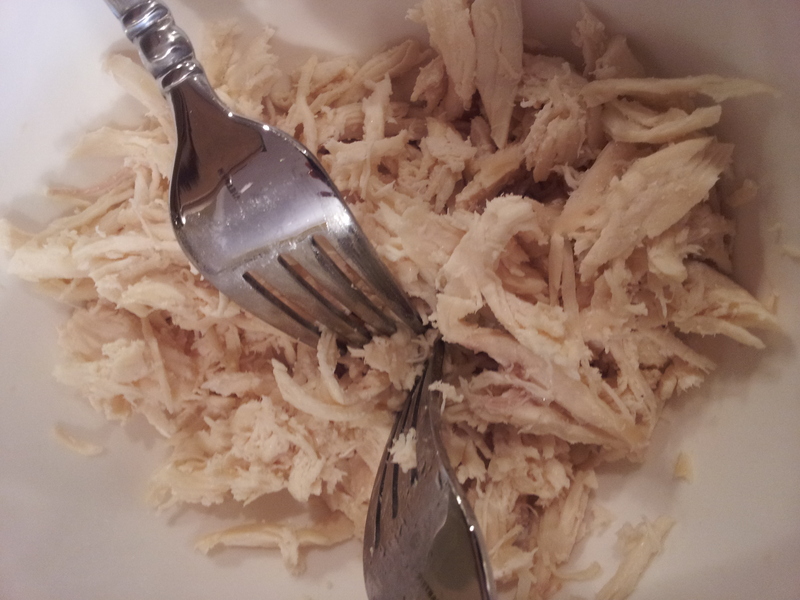 Cook chicken by boiling or baking and shred with two forks. 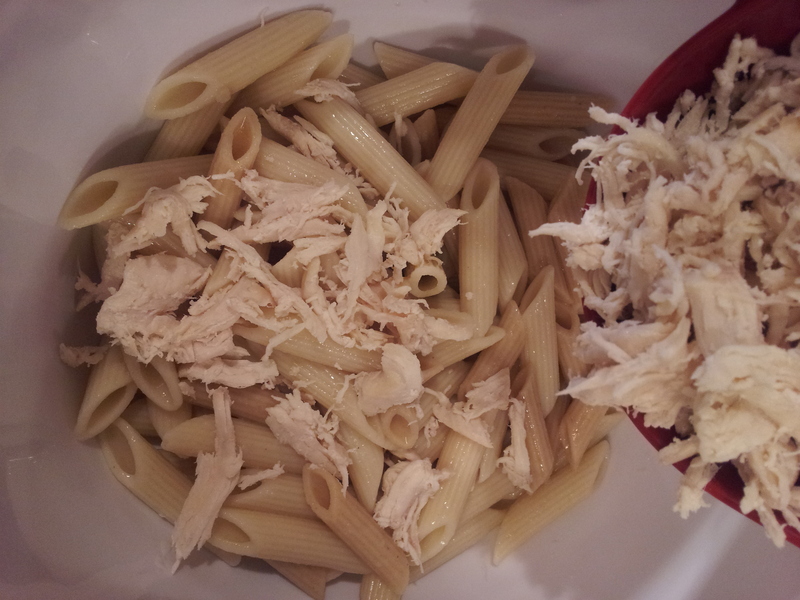 Add chicken to drained pasta. 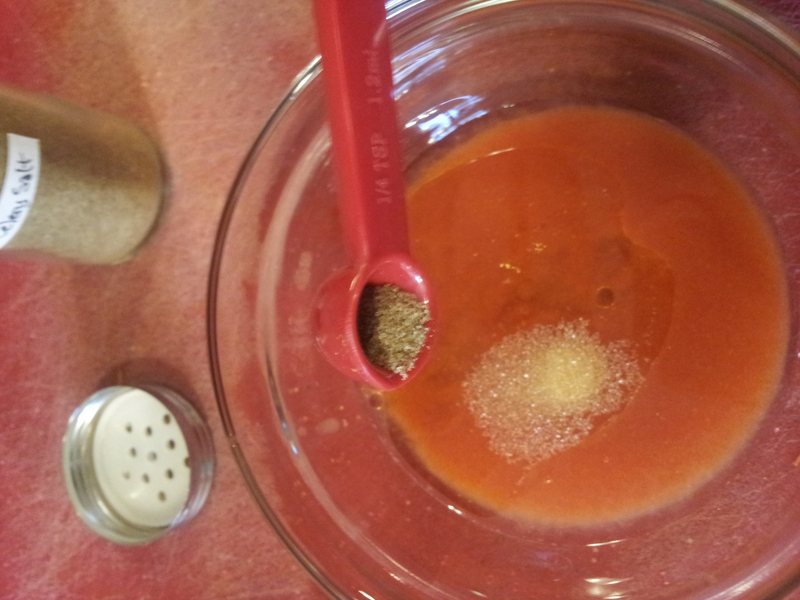 In a small bowl, whisk together olive oil, hot sauce, lemon juice, garlic powder, onion powder and celery salt. 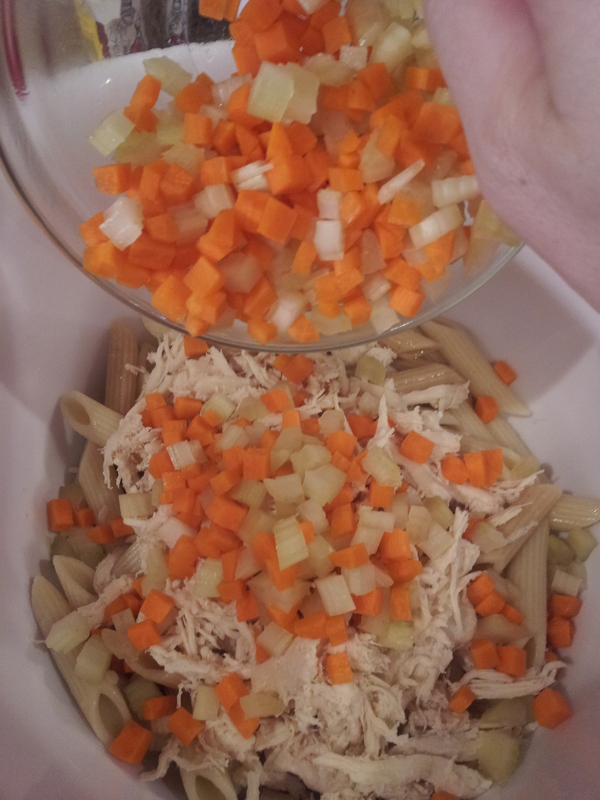 Add chopped carrots and celery to chicken and pasta. 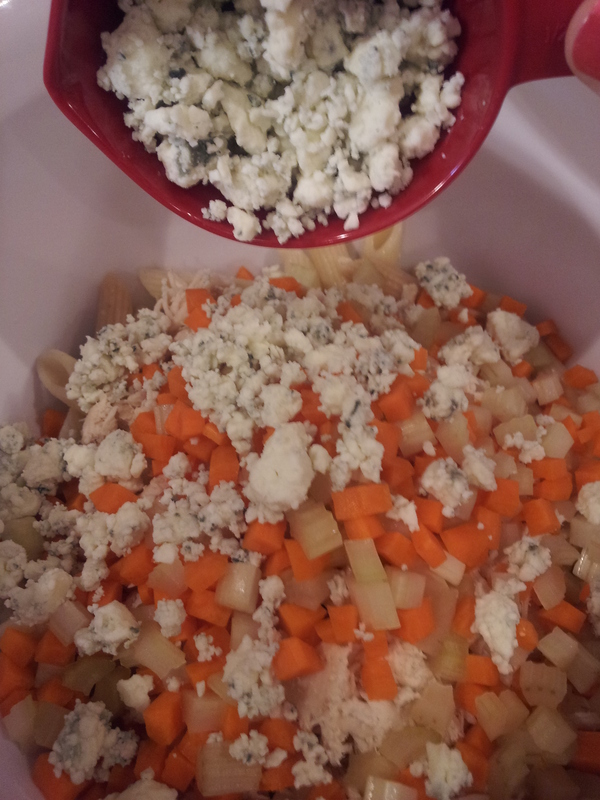 Then add your blue cheese crumbles. 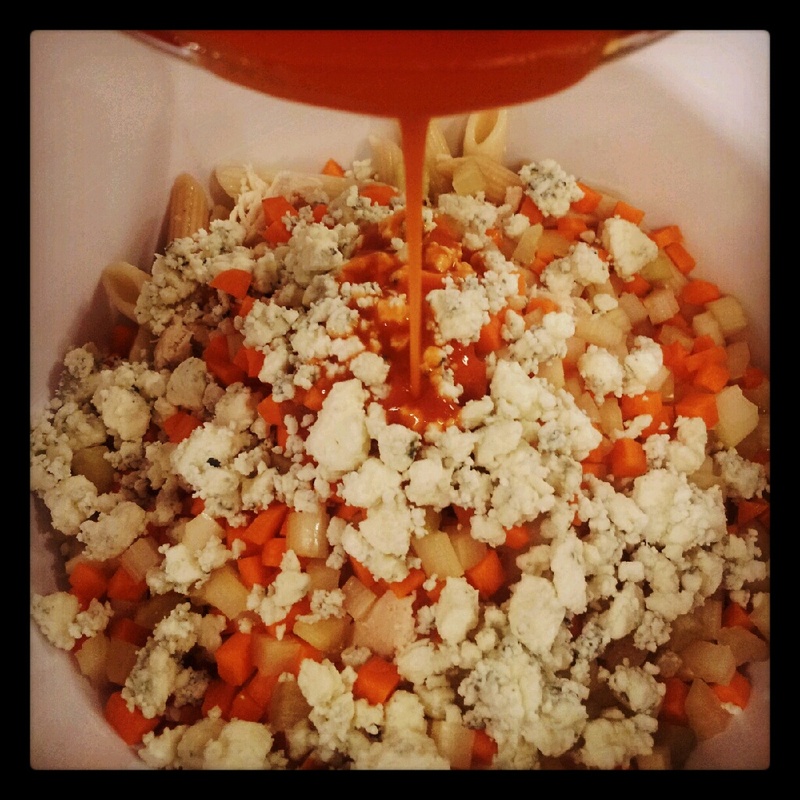 Drizzle the dressing over the top and toss until combined. 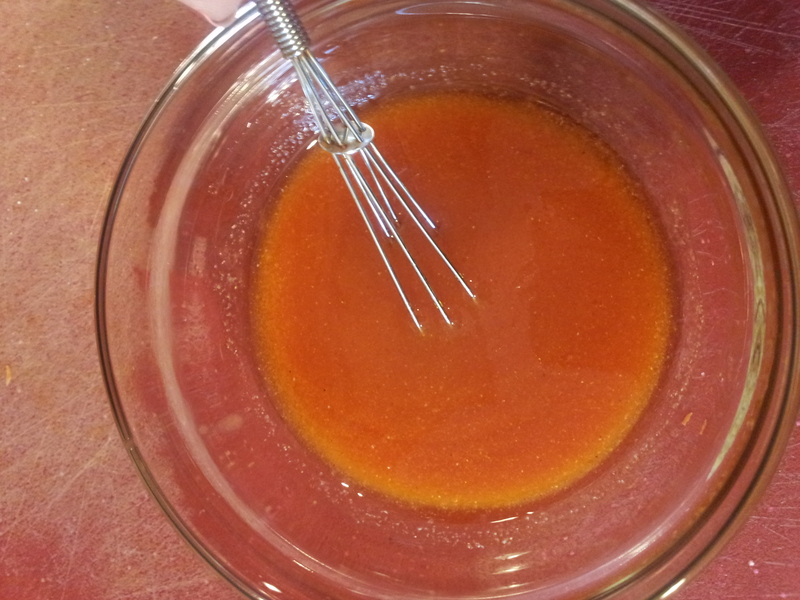 Refrigerate at least 1 hour.